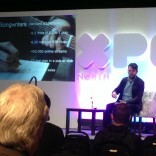 MPG returns from a successful XpoNorth in Scotland! 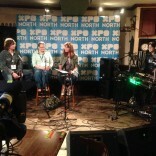 MPG Producer Panel – ‘Can You DIY It? 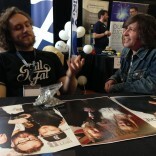 Once again, the Music Producers Guild took their annual trip to Inverness last week, to attend Scotland’s leading creative industries festival, XpoNorth. 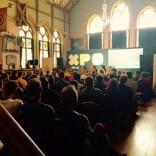 Formerly goNORTH, XpoNorth brings together more than 1000 leading industry figures from the fields of music, screen & broadcast, gaming and fashion. 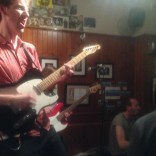 The two-day festival is devoted to boosting creative careers in the Highlands and Islands of Scotland and beyond. 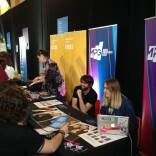 MPG Executive Director, Andrew Hunt was there with MPG’s Sophie Ellison, to promote the worth of music production. 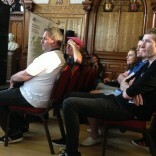 Throughout, the MPG maintained a promotional stand in the vibrant ‘Delegate’s Centre’, in Old High Church Halls. 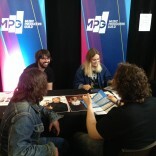 MPG Award winner Robbie Nelson joined Andrew and Sophie on the stand, which became quite a hub for producers, engineers and artists alike. 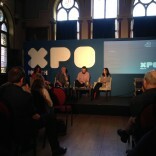 After a brief interview on XpoNorth Live radio, with Dr. Pat Reynolds from the Endangered Heritage Crafts Association, Andrew went on to chair the highlight event ‘Can You DIY It?’, an in-depth discussion panel on Thursday, June 11th in The Town House. 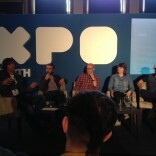 Attended by a 100+ audience and featuring producer and engineer panelists; Marcus Mackay (Snow Patrol), Robbie Nelson (Beck, Bryan Ferry, Birdy), Paul Savage (Mogwai, Arab Strap, King Creosote) and producer/artist Audrey Tait (Hector Bizerk) the discussion covered many aspects of recording with the DIY approach, the pitfalls and benefits, studios and microphones, the importance of finding the right producer and the emotion of recorded music. It was greatly received, to such an extent that the attendance went over capacity, with delegates standing at the back and many late arrivals having to be turned away. We look forward to returning in 2016, so be sure to get to the panel discussion early, or it may be you who misses the big event!